Small business sales target setting that will lead to achieving your sales plan goals on growth, revenue, and product sales. Learn how to set sales targets that will achieve your small business plan from a sales manager with over 20 years experience. Align your sales team management with your company goals. Avoid common mistakes that many small business sales managers make when setting individual sales targets for their teams. Your small business sales goals could be based on product sales, revenue growth, or profit figures, or a combination of any of the three. You could want company stability and consolidation of sales to existing customers, or have targets for new business growth within a certain timescale. An important sales management training tip is to always set sales targets for your staff that will achieve your company goals and objectives. Start with the company sales target and then define individual sales targets. Make the objectives mean something and be clear about the benefits to the business when the targets are achieved. As a working sales manager I’ve seen businesses that had company targets focused on profit, sales managers targets based on revenue, and sales individuals rewarded for product sales that weren’t specifically bringing in high profit or revenue. Is it any wonder these companies don’t achieve their goals and employees think there is no direction or business plan? So that you can set sales targets, and focus your sales team management on achieving your small business plans, you have to have clearly defined sales objectives with time scales. Take your business plan for the next 12 months and clearly define the sales figures you need to achieve. This could be revenue, profit, or product sales. Whatever your business goals are convert them to a small business sales target for the next year. Now we take that one year small business sales target and set your sales people individual targets. Your one year small business sales target could be just the number of products or service packages you need to sell. It could be a combination of different products or services. Depending upon your business it could be a mixture of repeat business to existing customers and sales to new customers. Whatever that figure is, and whatever terms it is in eg. Revenue, Product sales, Service contracts, Profit, that is what you need from your sales team to achieve your small business plan. Does the sales person have a specific number of sales, or amount of sales revenue or profit, and do they know by when this figure has to be achieved. If there are a number of different elements to their sales targets do they know how they can mix and match these elements, and are there any minimum or maximum limitations on each type of sale. For example there could be a minimum amount of new or existing customers per month, or a maximum of any one product type to ensure the whole range is sold. Can you and your sales team measure what is being sold and how it contributes to your small business sales plan. The sales people need to know where they are towards achieving sales target, and you will want to know how you are doing towards your company objectives. How do they compare to what other similar businesses sell in the same timescale. 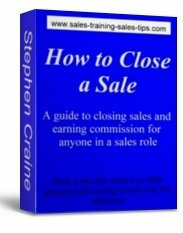 Break down the sales targets into monthly or even weekly figures and look at how long each sale will take. Consider how many prospects the sales person will need to see to make each sale, what is the average conversion rate of sales prospects seen to sales made. Look at travelling time, opening hours, how long each sales pitch, or sales process, will take. One of the things many companies forget to take into account when setting realistic sales targets is vacations or holidays. Reward your sales people with an incentive sales plan and a performance management scheme. Your small business sales plan should aim to pay target achievers an average on target income and reward your top performers well for the amount of business they bring in. To do this, consider what percentage of the revenue value of each sale you will use as a reward. Then look at how you will use that money to reward your sales team. Don’t reward sales people for not achieving target. To keep things simple have your sales target as the expected performance benchmark. Below target is not acceptable and requires managing and coaching. Achieving target is the expected level of sales performance and earns a reward. Above target performance means small business sales plans are achieved quicker and the rewards should reflect this. Put a performance management plan in place to help and motivate low sales performers to take the actions that will lead to improvement. Keep this improvement plan in line with the employment laws of your country. Always include a plan to manage out those employees that have been given the opportunity to improve but haven’t made it to the required level. Give your team the sales skills to achieve your small business sales plan. You’ve put together a small business plan that will achieve your business objectives if your sales team hit their targets. With a sales reward scheme and a performance management program in place you can motivate your sales people to achieve their targets. 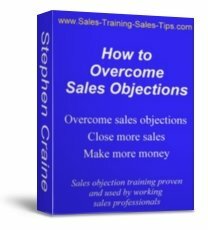 Now you want to make sure they have effective sales training to create sales opportunities and hit those important targets. Sales training doesn’t need to be expensive, or take your sales people away from their selling role for long periods. In fact the most effective sales training is often presented in short bursts and practiced in real sales situations. 1. Making sales appointments with prospective buyers. 2. The sales stages from the first introduction with the prospect to closing the sale. For small business owners sales training can look confusing, technical, and full of jargon and buzzwords. I've created two sales training courses on making sales appointments and building an effective sales process. They are easy to use, have been very effective with my sales teams, and you will be able to use them with your sales team. You can present the training to your team as a sales course, or let the individuals complete the workbook course in their own time. The training course can be put into action in small sections and then practiced in real situations before moving to the training on the next sales stage. The reason the workbook courses work so well is that they show the sales person how to build each stage of a sale in their own words. This is not expensive classroom sales training. This is proven selling and appointment making training that small business sales people can start using today. Take a look and see what you think by clicking the images or going to Making sales appointments by telephone or the Selling success sales training course. See more sales training to achieve small business plans by leaving small business sales targets and opening the main page of this section. For more information on sales training, motivation, appointment making, and all other aspects of sales and selling move to the Sales Training Sales Tips home page.